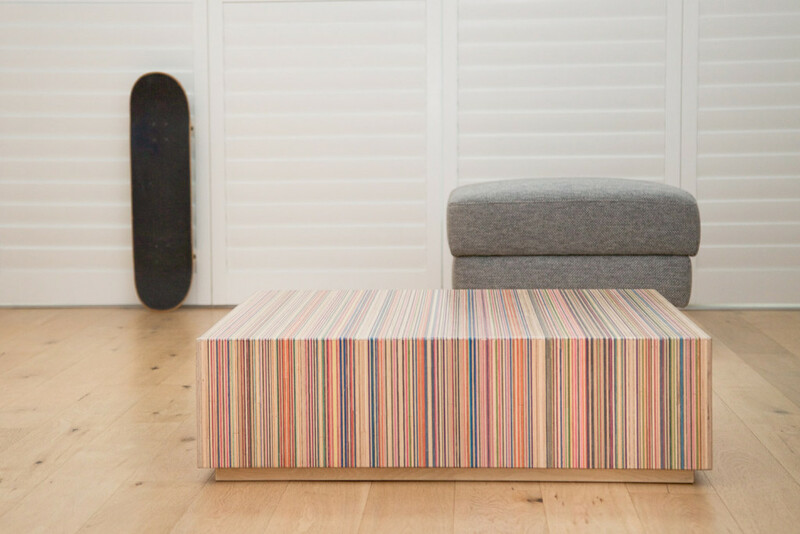 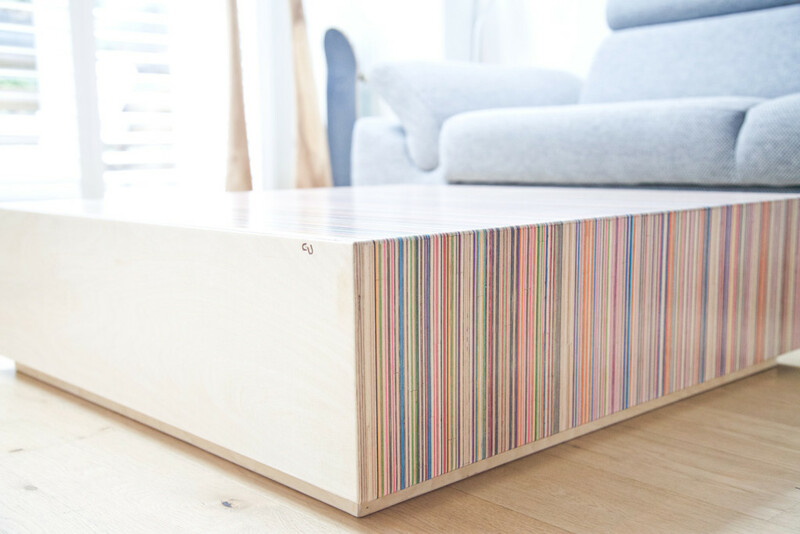 The inspiration for the design of this coffee table is a skatepark object called a “manual pad”. 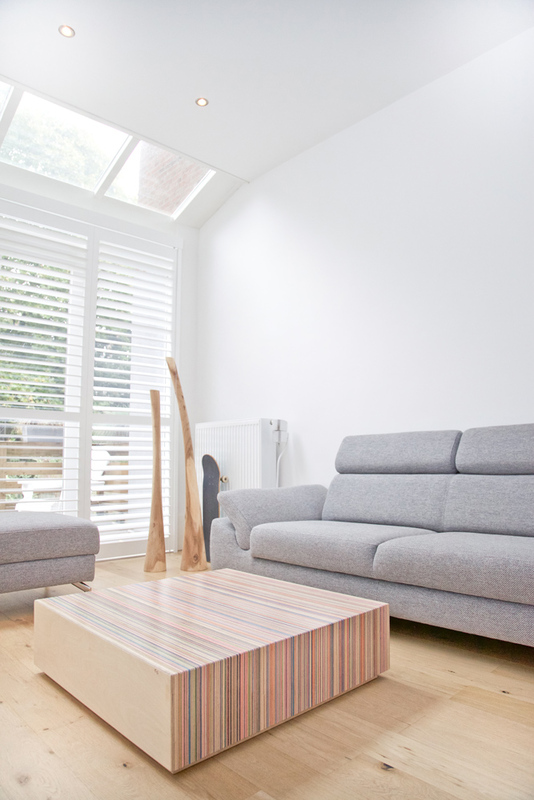 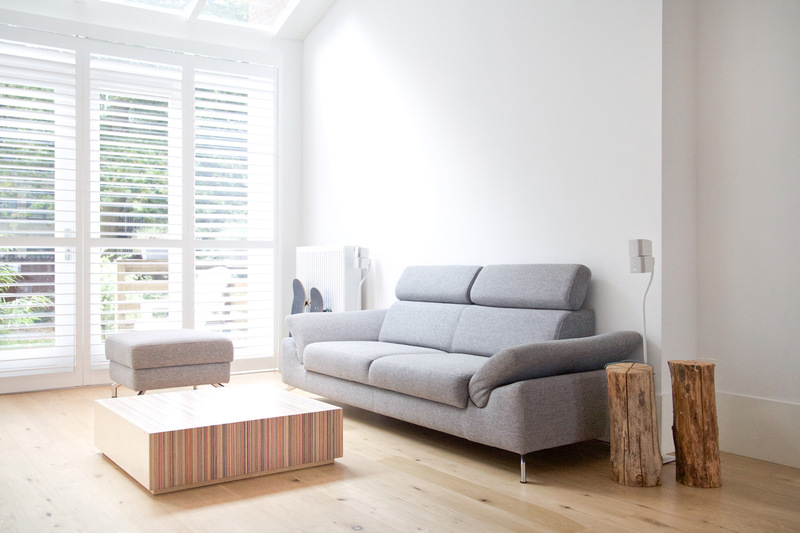 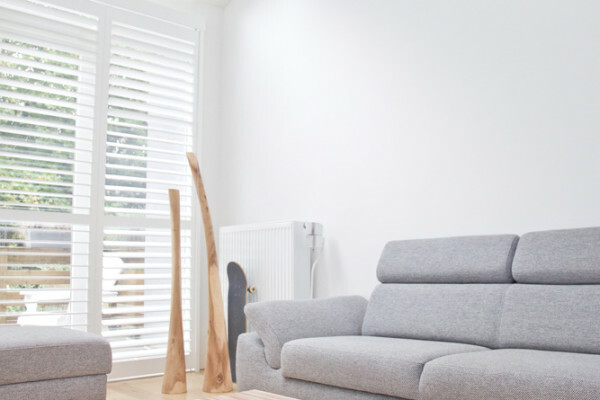 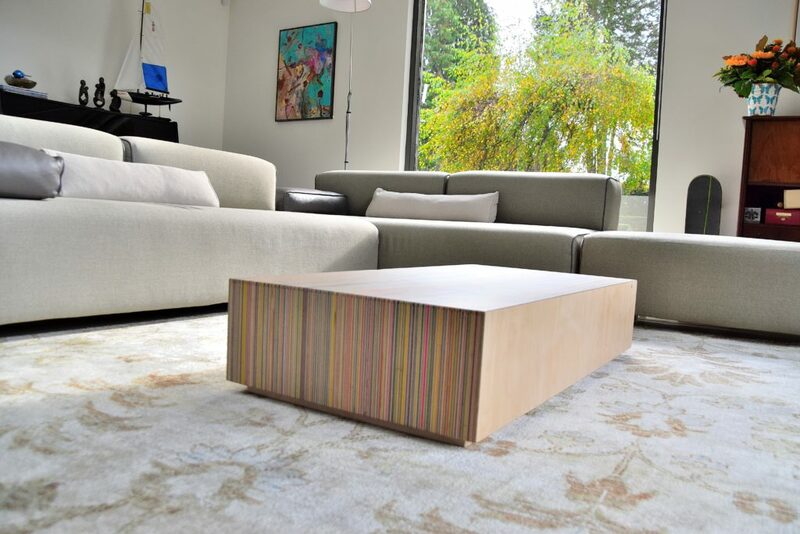 With it’s bright colors, the DecksPad™ will lighten up every livingroom. 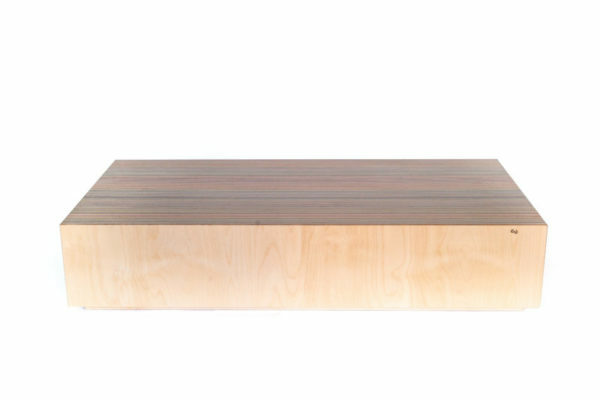 Strong enough for manual tricks, but more suitable for supporting your espresso. 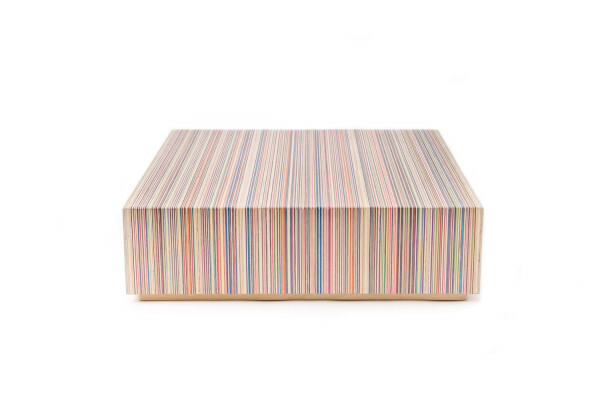 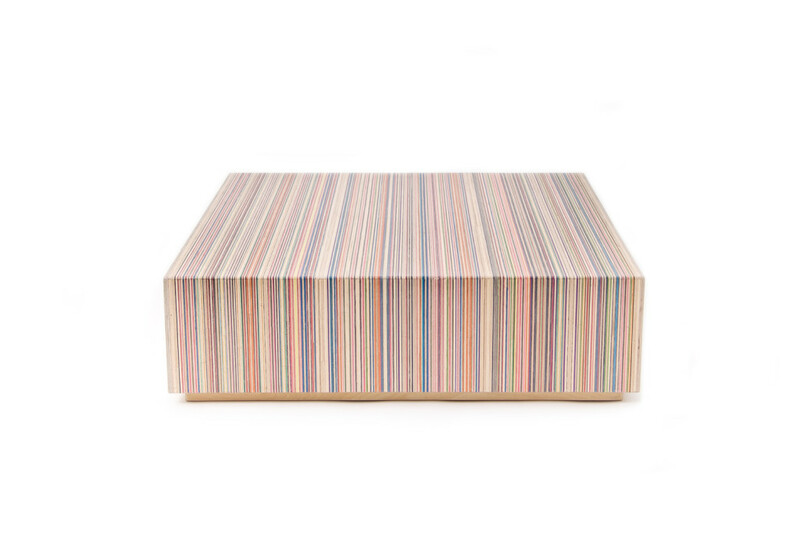 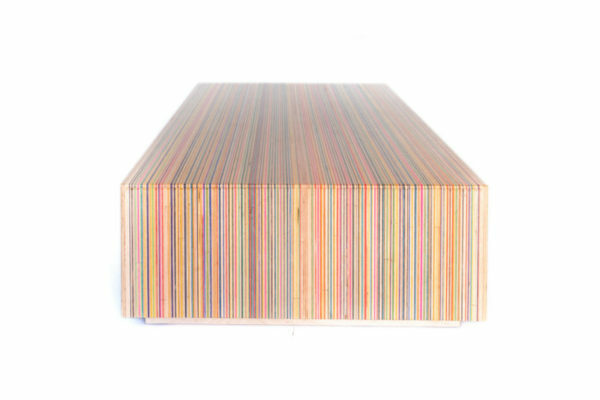 The top-, front- and backpanel are constructed from recycled skateboard decks collected at local skate stores and factories around Europe. The sidepanels are made from sevenply birch. 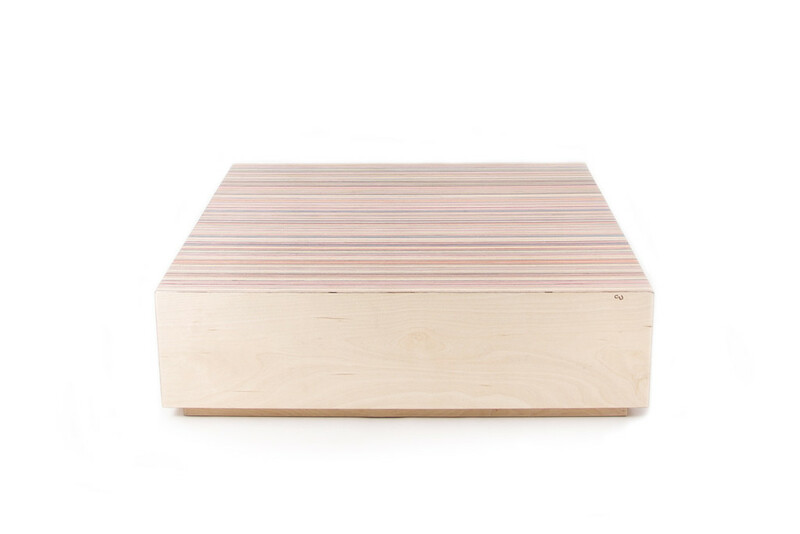 We work only with worn-out skateboards and wood that has a sustainable forestry label. 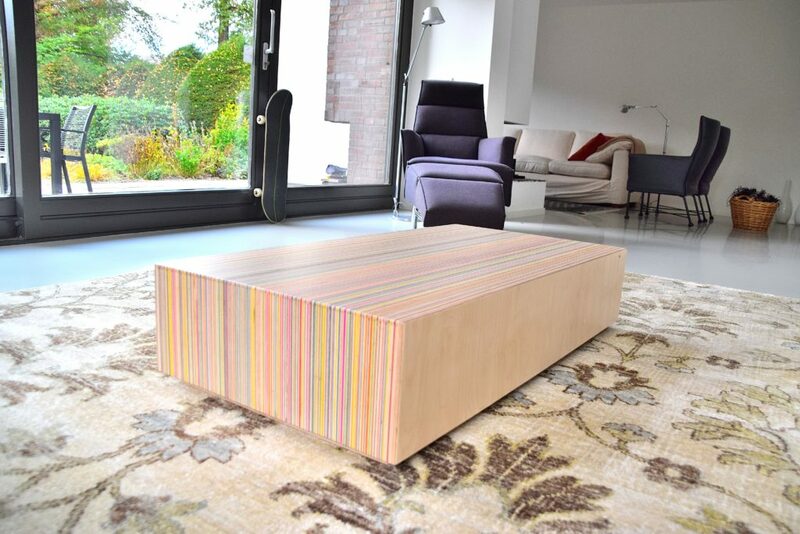 DecksPad 48: 60x60x25 cm, constructed from 48 skateboard decks. DecksPad 60: 75x75x25 cm, constructed from 60 skateboard decks. 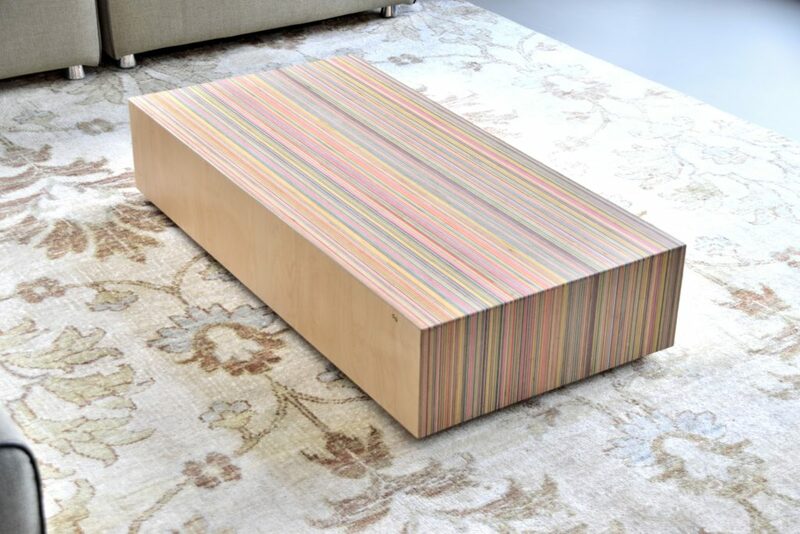 Deckspad 90: 90x90x25 cm, constructed from 90 skateboard decks. DecksPad L 54: 90x60x25 cm, constructed from 54 skateboard decks. 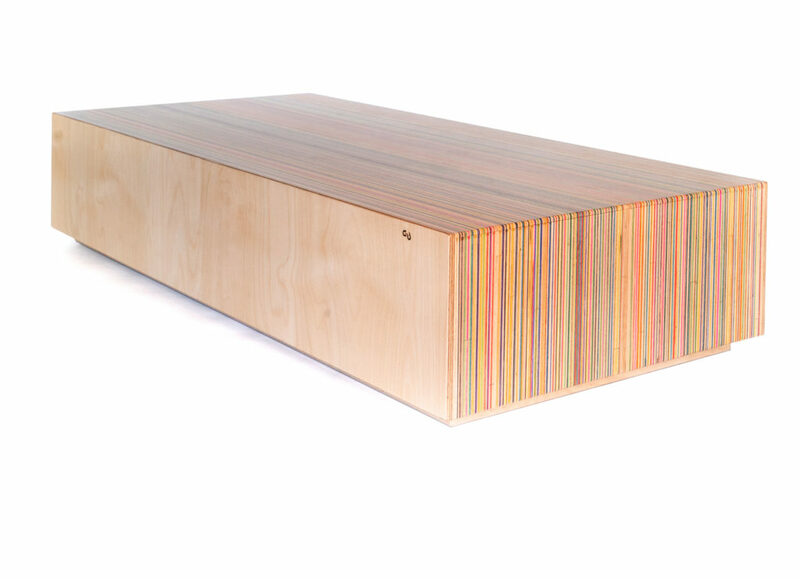 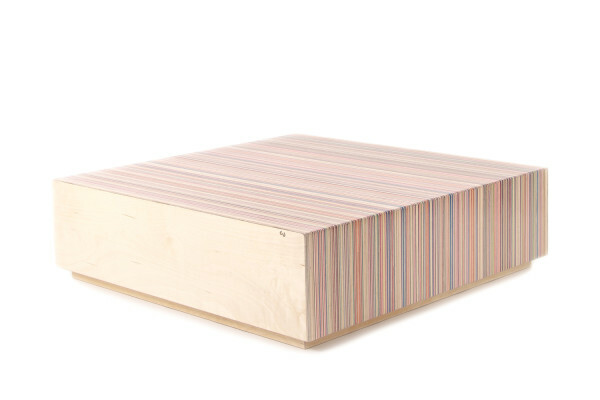 DecksPad L 64: 120x60x25 cm, constructed from 64 skateboard decks. 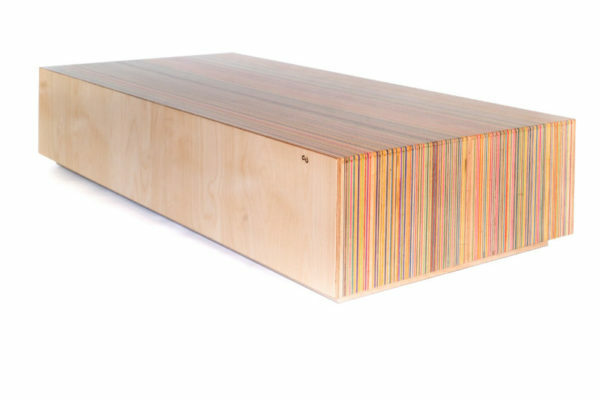 DecksPad L :80 120x75x25 cm, constructed from 80 skateboard decks. 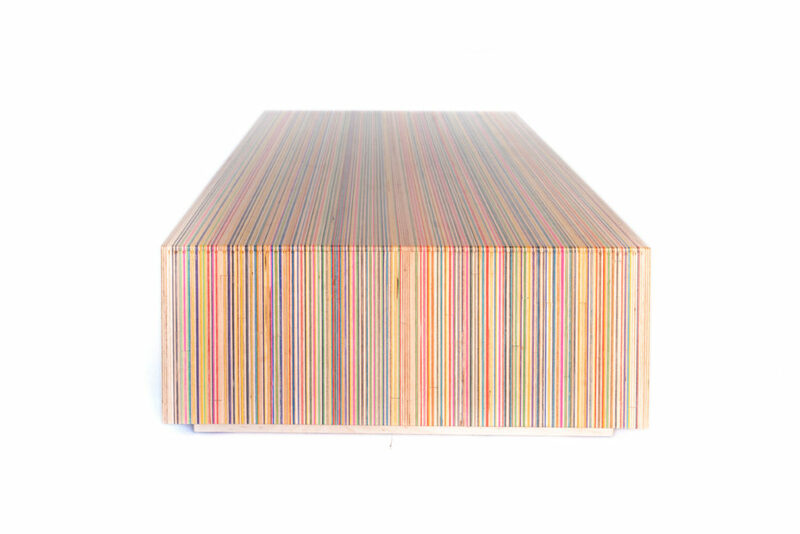 The colors of every DecksPad™ are unique and dependent on the available skateboards that have been collected. Specific color variations cannot be guaranteed. 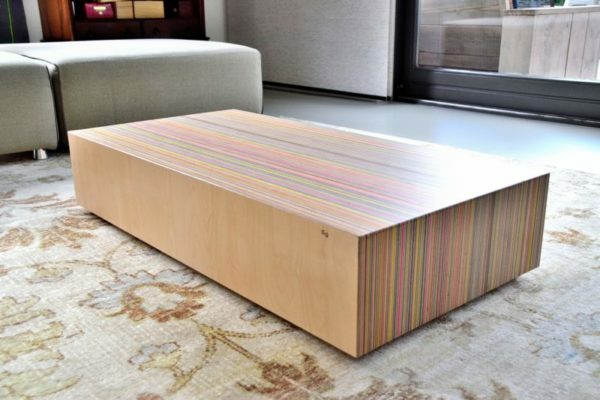 We can guarantee every single DecksPad™ will be a unique piece of art.